Twitter is a great social media marketing platform for any serious webmaster or blogger looking to build online credibility and drive traffic to their blogs. 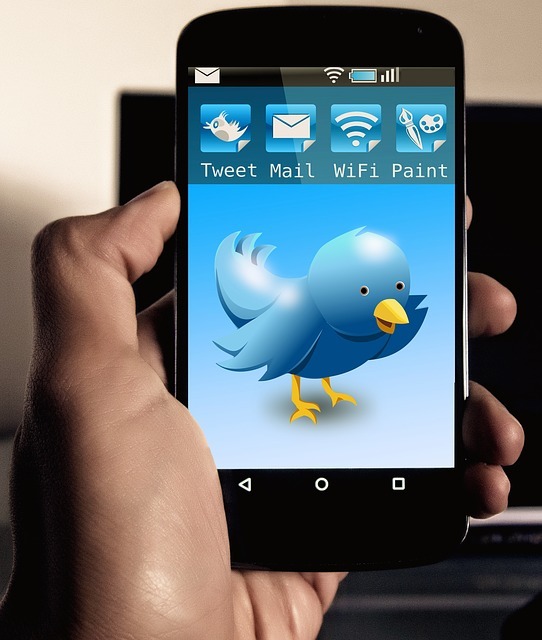 If you are already using Twitter frequently, are you sure that you are tweeting effectively? If not than learn how to create Twitter account? Are you getting the most by engaging, growing and driving traffic to your website & Twitter profile by tweeting effectively? Today we’re going to take a look at 5 very simple yet extremely useful tips for better tweeting, for all you budding newbie and developing bloggers out there. Tweeting for those of you still getting to grips with micro blogging and perhaps not too familiar with using Twitter even, is basically the fun task of sharing anything you want from links, videos, pictures, resources and short timely messages with all your faithful followers on Twitter. Many websites and blogs will conveniently have social and sharing buttons installed to make sharing and tweeting stuff about, a lot easier. Some people believe that tweeting continuously all day long is the best way to get your message across. Whilst this might work for a very few, effectively it can also annoy the majority of your followers. Saying that, tweeting regularly throughout the day, perhaps a few tweets every few hours or so is probably the most productive way to tweet regularly. As long as you’re diverse with what you’re tweeting about, tweeting regularly should promote healthy growth of your Twitter followers. So the first tip to remember is to ensure that you tweet regularly throughout the day. When sharing stuff from the web or your blog or website for that matter, remember to keep usefulness, resourcefulness and relevancy above all in mind. This is essentially important if you want get as many targeted followers as possible. Doing this alone has helped me build over 6,000 followers in such a short time of using Twitter. People follow you because they believe what you’re sharing with them is of great value, they’re interested in your tweets and therefore will regularly come back to see what you have to offer each time. Don’t make the habit of tweeting too much off-topic stuff, things that you essentially might find funny or interesting but others won’t! The ultimate reason why so much stuff is conveniently shared on the web through Twitter is thanks to the retweet button… This tip is particularly useful if you want to increase the engagement activity on your profile, as well as earn the respect and ensure that your followers remain loyal to you. Retweet other related content published by other bloggers for example, and they will in turn do the same with your content. Remember to use the ‘reply’ feature to thank other people that retweet and share your stuff with their own followers. Start conversations with other followers and respond to any messages and mentions in your activity bar. The whole reason of using Twitter is to socialize more which can help drive engaging visitors to explore more of what you have to offer, including your site or blog. Understandably there are going to be times when you simply won’t be able to tweet stuff, and it could be at those peak traffic times that you’re missing out on potential visitors to your profile or blog site. To fix this ensure that you schedule your tweets regularly to go live when you’re not able to manually tweet content yourself. This also frees up a lot of your time to devote to other areas of your blog too. I’ve done this for a few months now and you’ll be amazed at how much more traffic you can generate from Twitter alone. For example; whilst you’re fast asleep, it might be hitting peak internet traffic the other side of the planet, do you really want to be missing out on the opportunity to drive potential traffic to your blog and grow your followers some more whilst you’re fast asleep each night? That’s where scheduling tweets come in extremely useful. Well that’s it folks, 5 simple but essential tips if you want to get the most out of your tweeting efforts. If you have your own suggestions or tips you’d like to share, please do so in the comments section below. Let’s tweet more but above all let’s tweet productively. This entry was posted in Social Media Marketing and tagged blogger, blogging, Social Media Marketing by Greg. Bookmark the permalink.